As part of a mega-celebration to commemorate the 50th anniversary of President John F Kennedy's inauguration, the Kennedy Centre in Washington, DC is mounting a Maximum India festival, featuring the dance, music, cinema, literature, theatre and cuisine from March 1 to 20. From violin legend L Subramaniam to desi electronica pioneer DJ Rekha, from veteran actors Naseeruddin Shah and Shabana Azmi to academic stalwart Gayatri Chakravorty Spivak, the Kennedy Centre's Maximum India festival features some of the biggest names and talents from India and the Indian-American community. 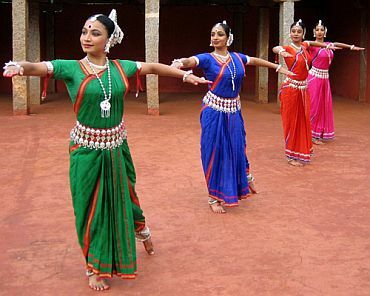 There will be performances by Indian-American artists like ghazal singer Vatsala Mehra from the Washington, DC area; Ragamala Dance, featuring Aparna Ramaswamy from Minneapolis, Minnesota; the Dakshina/Daniel Phoenix Singh Dance Company from Washington, DC; and comedian Dan Nainan from New York. 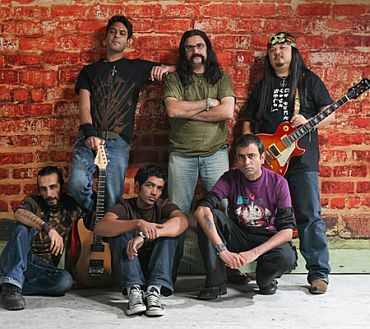 In music, the performances range from mandolin virtuoso U Shrinivas to Indian campus-rock favourites Parikrama to the blues band from Shillong, Soulmate. 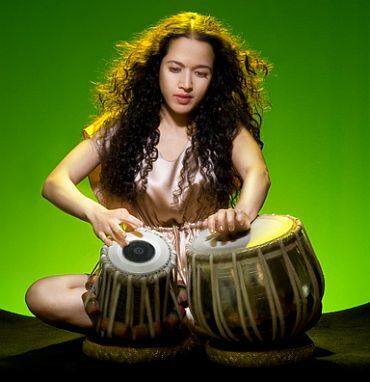 The National Symphony Orchestra led by conductor Christoph Eschenback will perform a composition of Ustad Zakir Hussain with the maestro himself on the tabla and mezzo-soprano Kelly O'Connor. 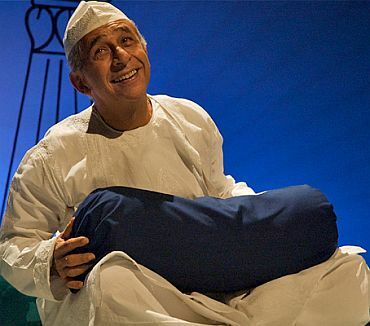 The theatre section will feature the Theatre and Television Associates led by Nati Binodini; the Motley Theatre Group featuring Ismat Apa Ke Naam, with Naseeruddin Shah; the Ishara Puppet Theatre Trust: Images of Truth with leading Indian puppeteer Dadi Pudumjee and Broken Images, starring Shabana Azmi. 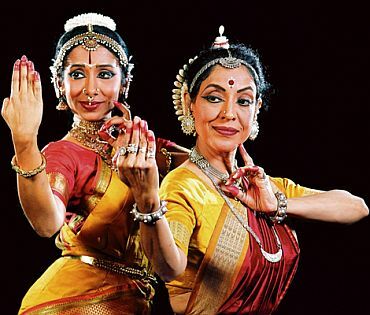 In dance, Madhavi Mudgal and Alarmel Valli in Samanvya will bring together two Indian classical dance forms, Odissi and Bharatanatyam; the Priyadarsini Govind and Nrityagram Dance Ensemble, the Tanusree Shankar Dance Company, and Artistic Director Shubhra Bhardwaj's Ticket to Bollywood will also perform. The literature section will feature panels on 'The Tagore-Gandhi Letters', with a discussion moderated by Ritu Birla, Ashis Nandy, and Chakravorty Spivak. A panel about cities in India will feature writer Suketu Mehta, Maya K Rao and Sunetra Gupta. Another panel, on politics and literature, will have Salman Rushdie, Nayantara Sahgal and William Dalrymple; yet another, on 'celluloid lives' will feature Lalitha Gopalan, Girish Karnad, Sharmila Tagore and Sadanand Menon. The films to be screened range from Satyajit Ray's classic Pather Panchali to the recent Dhobi Ghat. A discussion on Indian women in films will be led by actress Nandita Das with Shabana Azmi, Sharmila Tagore, director Adoor Gopalakrishnan and Ketan Mehta, and Dilip Basu. Providing diners with a gastronomic journey through Indian cuisine at the KC Cafe and the Roof Terrace will be chef Hemant Oberoi of the Taj Mahal Palace & Tower in Mumbai, and Ananda Solomon, executive chef, the Taj President. In recent years, the Kennedy Centre, a living memorial to the 35th American President, has been holding encyclopaedic international festivals bringing in hundreds of artists from across the world, with many of them performing in the United States for the first time. Maximum India will be yet another manifestation of this trend. "We have been tracing the Silk Road with China, Japan, China, the Arab world," said Michael M Kaiser, president, Kennedy Centre. "And now, this Maximum India festival completes it." The arts, he said, "Create a unique platform for understanding each other. This festival will highlight India's magnificent arts and culture offerings on the Kennedy Centre's states and throughout the building." David M Rubenstein, chairman, Kennedy Centre, and co-founder and managing director of the Carlyle Group, one of the world's largest private equity firms, is also a co-chair of Maximum India. 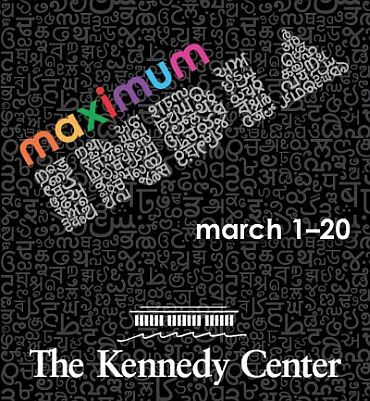 Maximum India, he said, "will literally transform the look and feel of the Kennedy Centre for three weeks, with traditional and contemporary Indian music, dance, and theatre, as well as visual art installations in all of its public places. Food, fashion, and educational activities for families and children will also be included." Rubenstein said the Kennedy Centre "will bring more than 500 Indian artists to Washington, DC to celebrate India's rich and dynamic art and culture. With a budget of over $5 million, this will be one of the largest celebrations of Indian culture in the United States to date." The Kennedy Centre, he added, "has received no federal funds for the festival and is relying on private philanthropy to help present these festivities." Calling on the Indian-American community to "make this festival truly exceptional," he exhorted them to contribute to "support the Centre's Indian initiatives." The community, he acknowledged, had already committed considerable contributions. But "there is more to raise in order to reach our goal. If we are successful with our fundraising efforts, the Centre would be thrilled to host a Community Day on March 19," he said. The festival is being presented in cooperation with the Indian Council for Cultural Relations and the Indian embassy in Washington, DC. Indian Ambassador Meera Shankar said the event would "both entertain and educate, strengthening the ever-important bridges of cultural appreciation and understanding between India and the US. 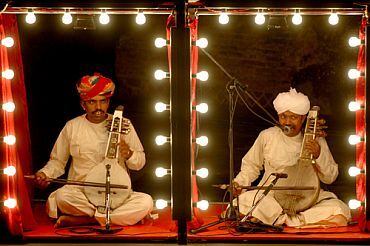 The festival will cast its spotlight across the broad spectrum of India's arts and culture in what promises to be a resoundingly popular celebration." Visitors, she continued, "will have a unique opportunity to experience the best of India's extraordinarily diverse and vibrant culture and also to share in the many transformations that are underway as India modernises and its economy gains momentum." 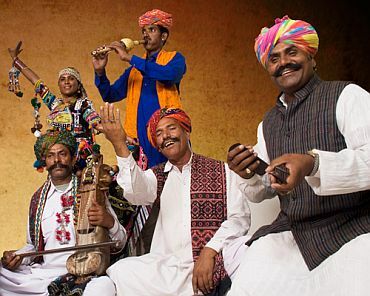 She said the ICCR "will be sponsoring eight performing groups for the festival. 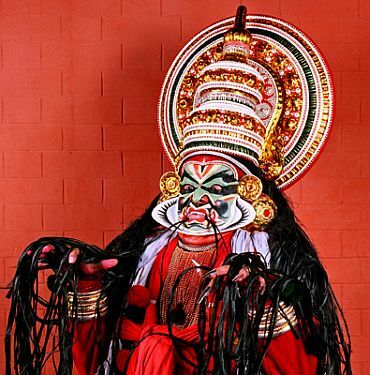 The groups that we are providing through the ICCR will give free performances." She pointed out that not since 1985-1986, when the Smithsonian held a Festival of India, which ran for months, has there been an India festival of this magnitude. "So, it's after a long gap that we are having such a big festival of India in the US," the ambassador said. The government of India, Shankar said, was deeply appreciative of the Kennedy Centre for taking this initiative because "this is a very important element in building relations between people. Because on one hand, we have a strengthening strategic partnership between India and the United States, growing business links, increasing political consultations, but the very solid part of this relationship is that it is people-centric. The big Indian-American community, now about 3 million strong, also has come of age in America; and they are such a vital link between the US and India."